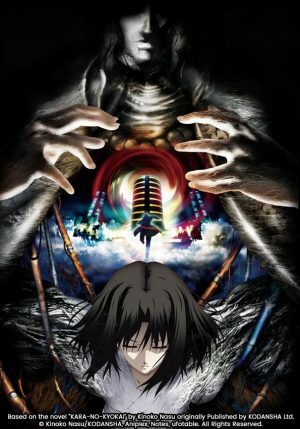 Kara no Kyoukai is a series of 7 films, most of which are just around an hour and two of which are about 2 hours long. The films follow Shiki, a mysterious woman, with even more mysterious powers, who hunts down those with supernatural abilities. 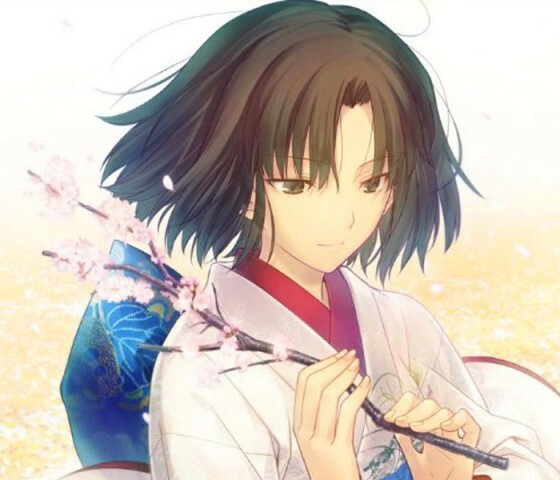 She's followed by Mikiya Kokutou and Touko Aozaki, whose motives and relationship with Shiki become apparent the more the story progresses. The film series has drawn acclaim for it's strong characters, great visuals, as well as, it's great and somewhat cryptic, and dense, storytelling. The series follows Mikawa Fumika who is a mail carrier of 'Shigofumi', letters containing the words of the dead which express feelings left hidden and unsaid while alive. Mikawa goes along and delivers these letters to the living. However, there's an problem at hand. Shigofumi carriers are deceased humans who look just as they did before death. Despite this, Mikawa is still getting older. Shigofumi is similar to Kara no Kyoukai in a couple of ways. Both series incorporate a lot of supernatural and fantasy elements. They often both have a similar tone and atmosphere, and have an eerie unease to both of them. Furthermore, both deal very much with themes of death in their own ways. Finally, Shiki and Mikawa both have their pasts slowly revealed throughout the series as well. 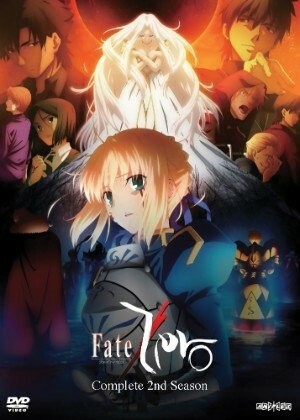 Fate/Zero is the prequel to Fate/stay night, yet can be viewed independently. It revolves around the preceding Holy Grail War that is covered in the original Fate story. Fate/Zero follows Kiritsugu Emiya who is contracted by the Einzberns to win the holy grail. Kiritsugu, in love with Irisviel Einzbern, accepts and summons Saber to fight in the conflict. Opposite Kiritsugu is Kotomine Kirei, who's seeking purpose and resolve to his existential issues by fighting in the Grail War. Fate/Zero, although written by Gen Urobuchi, is still part of the Nasuverse, same as Kara no Kyoukai, and it shares a lot of similarities with what's typical of Nasu's works. Fate/Zero and Kara no Kyoukai are both dark, urban fantasy stories that deal with the supernatural, and are very dialogue heavy. They also have a strong action bent to them as well, balanced nicely with the emphasis on the dialogue which can get a little dense at times. And of course, they're both Ufotable adaptations which have given both wonderful animation and general design. 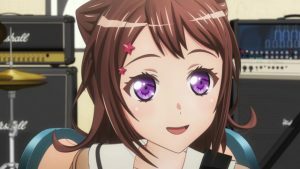 Mima Kirigoe stars in an idol group but after giving her future some thought she decides to try her hand at becoming an actress. For Mima, this is a step in the right direction, but one of her most obsessive fans is very unhappy about the decision she took. Mima accepts a peculiar role which her manager isn't completely sure about. While filming, strange things happen to the cast and crew and Mima begins to suffer mental breakdowns and becomes less and less able to separate, what’s real and what’s not. Kara no Kyoukai was never completely straightforward from the very first film but the 5th film in particular is a bit of a trip. 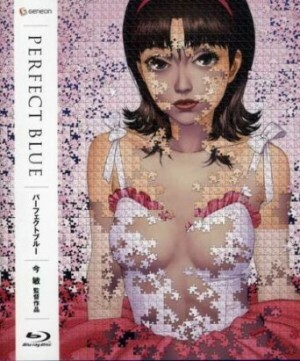 With the 5th film, often thought of as the series best, being such a mindfuck, perfect blue feels definitely similar in that regard. Moreover, both films have elements of horror and mystery and have an eerie atmosphere to them. They also explore psychological themes in an urban setting, albeit with Kara no Kyoukai delving much more into fantasy elements. 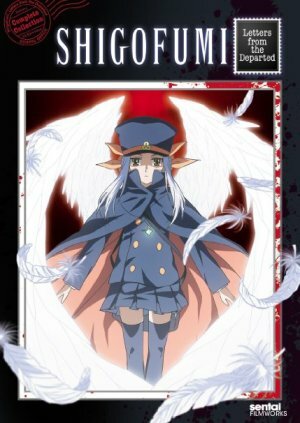 Anime like Kara no Kyoukai? Advances in cybernetics have allowed human beings to replace their physical bodies with cybernetic prosthetics. Motoko Kusanagi is a 'full cyborg', someone whose body is completely mechanical, however, she still retains her human consciousness, her 'ghost', despite her prosthetic body, her shell. She's a member of section 009, a police anti-terrorism and security unit that's tasked with tracking down a hacker called the puppet master. 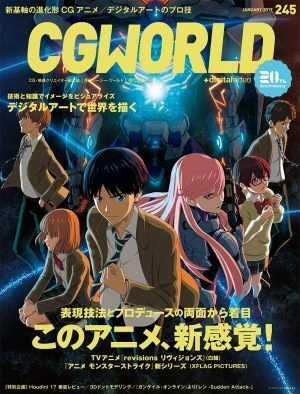 What occurs forces Motoko to think more deeply about her identity, and how humanity and technology coexist. 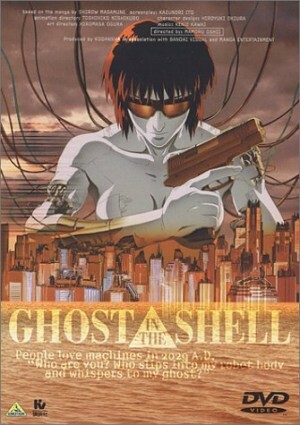 Ghost in the Shell and Kara no Kyoukai both examine themes of identity albeit through different angles. 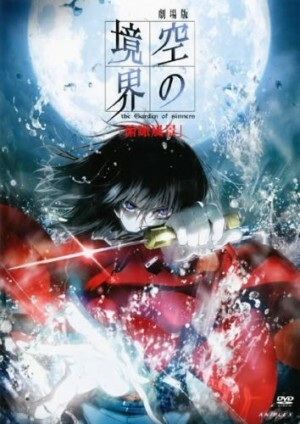 GITS does it through technology and Kara no Kyoukai takes a more spiritual/fantasy approach. Likewise, both have strong female leads, Motoko for GITS and Shiki for Kara no Kyoukai. Both have great dialogue, with a lot of meat to chew on in terms of different ideas and concepts, but also include a lot of high-quality action, as well as, great overall presentation. Oosawa Maria is a Japanese photographer who's stationed in Shanghai. Maria , along with her partner named Mino, search for stories throughout the city. 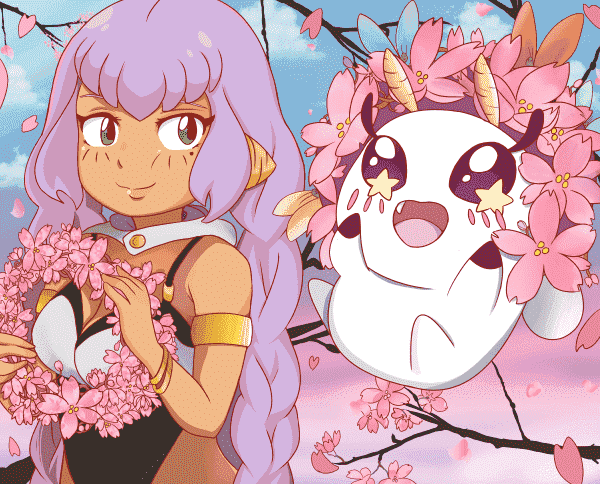 She investigates claims of strange occurrences at a local festival and unwittingly jumps into the middle of a fight between a mysterious white haired women and equally odd masked men. Just as it appears, she won't make it out, her old friend Canaan appears to save her. However, Canaan and Maria aren't completely in the clear. Canaan and Kara no Kyoukai are both written by Kinoko Nasu, and Canaan is also under the Type Moon umbrella. 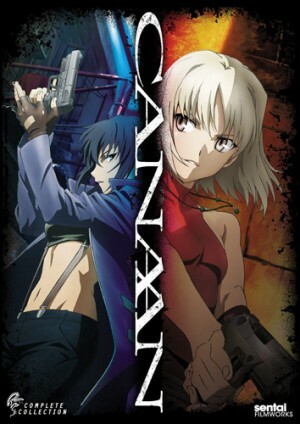 While Kara no Kyoukai is a little bit denser, Canaan isn't completely straightforward in its storytelling style either and sort of leaves you in the thick of things with a lot left to your own devices to figure out. They both feature strong female leads and a lot of action. 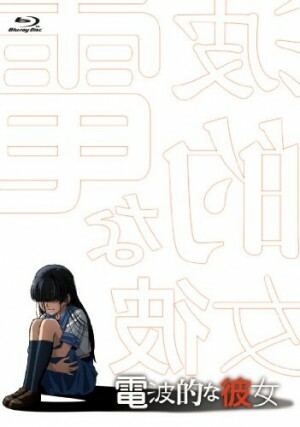 Juuzawa Juu is a high school student who seeks simply to be left alone, fueling his delinquency. He has a strange encounter with Ochibana Ame who claims to have known him in a previous life. She asks to serve him as his 'knight', but Juu doesn't want anything to do with her. 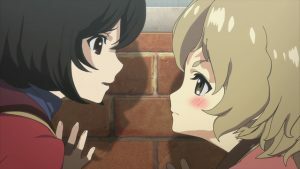 However, after a classmate is killed, Juu changes her mind and asks for her help to look for the killer. This series feels similar to Kara no Kyoukai in a number of ways. It's a mystery story about finding a murderer which echoes a number of the plotlines going on in Kara no Kyoukai. They share the same urban setting and the atmosphere often feels very similar. 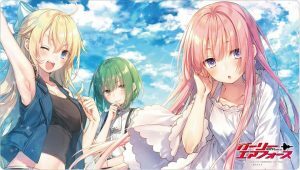 They both deal with fairly dark themes and content and the duo of the main characters feels somewhat similar to how those in Kara no Kyoukai interact. We hope you enjoyed this article and found something that's piqued your interest to watch. Let us know what you think of these series. 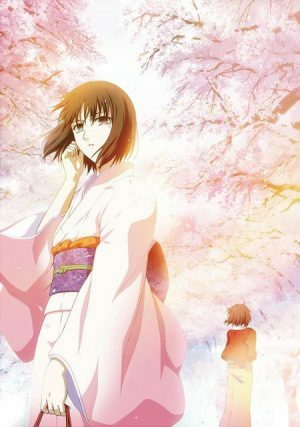 If you have seen them and let us know of any other series or films you feel are similar to Kara no Kyoukai. We know everyone can find something on this list to enjoy and we hope you leave a comment below to tell us how you feel!